Snaptitude commissioned Mono Industries to design a brand identity that needed to work hard in print, social and online. We developed a bold marque as part of the project that could be used on its own as well as part of the overall identity. Categories: Branding, Featured, Graphic Design. 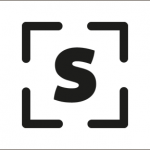 We were delighted to work on a branding project for Snaptitude, a photography service with a fine art approach to portraiture and reportage style event photography.